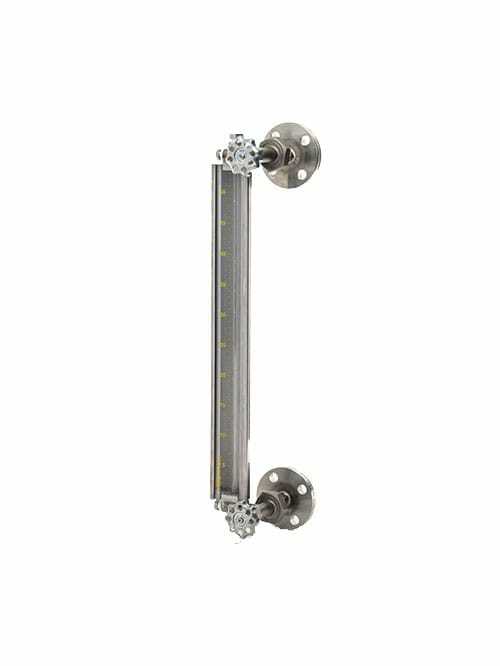 The patented K9900 Series Level Gauge features an innovative casting design which will simplify the installation process and eliminate other typical problems associated with gauge glass. 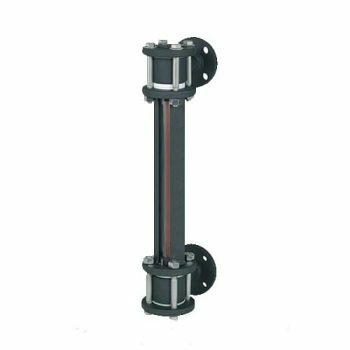 The K9900 Series incorporates floating misalignment unions, which will allow the process connection centerlines to vary +/-1/4″. 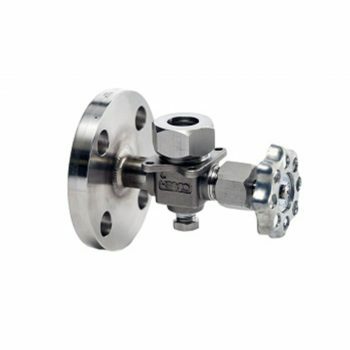 The gauge also has integral offset pattern valves with ball check shutoffs. 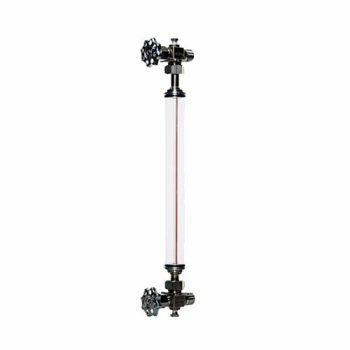 1/2″ FNPT vent and drain connections are inline for routine sight glass maintenance. 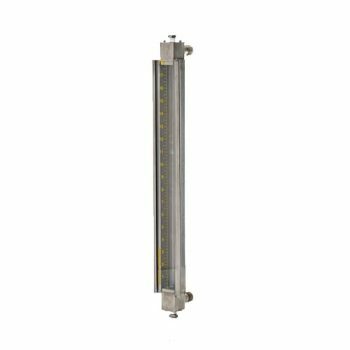 The K9900 Series Level Gauge delivers a safe, low maintenance, cost effective solution to common sight glass applications.